With Christmas now behind us, it's time to start getting ready for the end of this year and the beginning of a new one. It may be just another day to some, but many people view this as a new start. Let the mistakes of last year fall away as the ball drops and focus on all the amazing things you will accomplish this time around. I love New Years Eve and all it represents, so you know I have to celebrate in style. 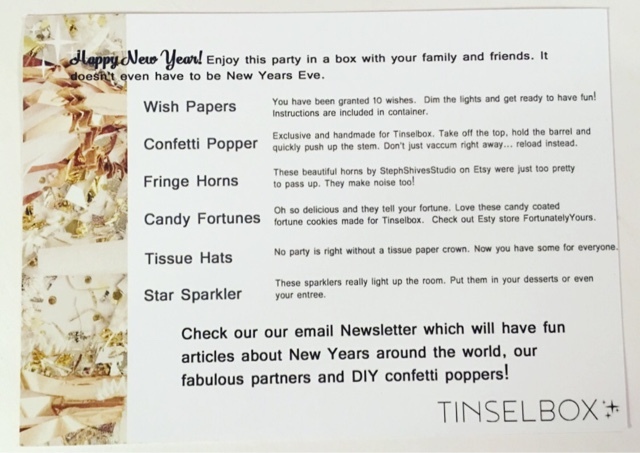 Thankfully, TinselBox has arrived to put a little more style and sparkle into my New Year countdown! 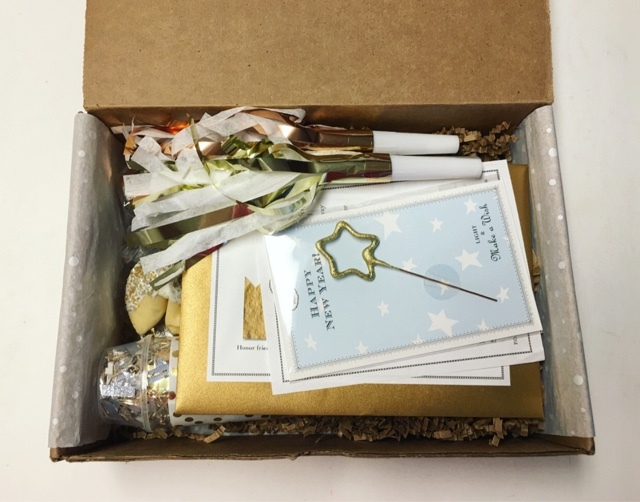 TinselBox, who very kindly sent me this box for review, is a monthly subscription box that delivers amazing, holiday centric items straight to your door. Each box features décor and activities for each holiday or season (and delivered ahead of time!). Each box is a variety of décor, activities and other holiday/seasonal themed items curated from international, handmade and boutique sources. There are two subscription options to choose from: The 'Box of Spontaneous Joy' is $19.99 per month and the larger 'Box of Cheerful Curations' is $39.99 per month. This review is for the Box of Spontaneous Joy. Need a little extra incentive to subscribe? 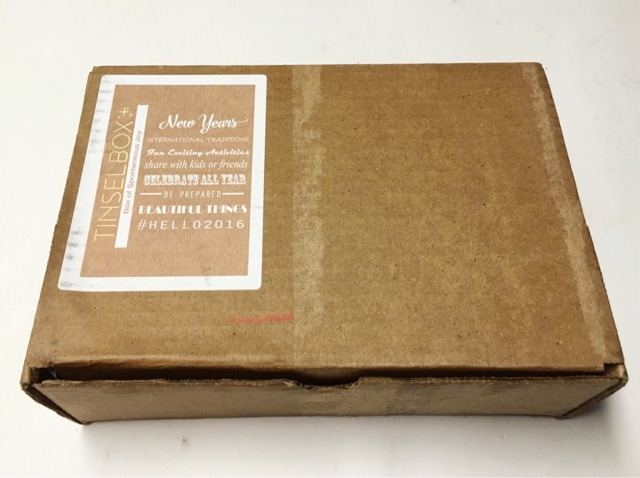 Use coupon code TinselBox5 at signup and get $5 off your first box! 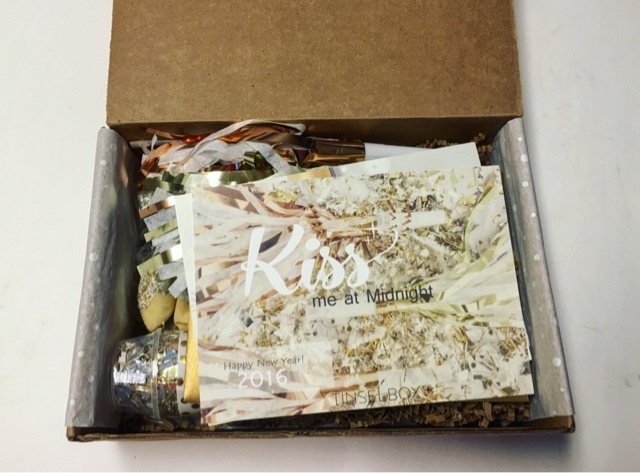 This months box theme is 'Kiss Me At Midnight ' and it's packed with unique artisan items to make your New Years Eve the best it can be. The included information card gives you all the details on the items featured in your box. Tops Malibu Gold Crowns --- What's a party without a party hat?! 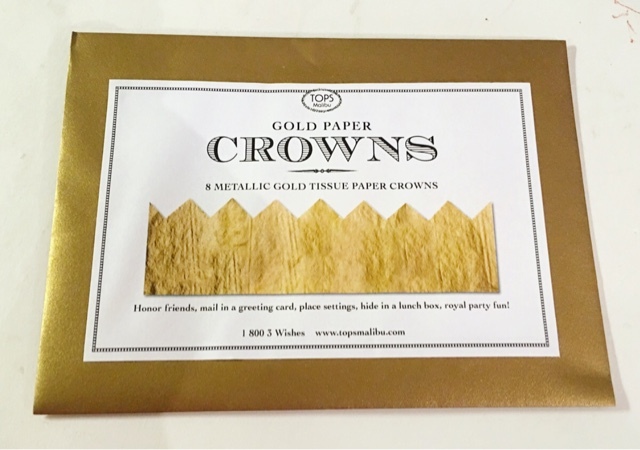 Now you and your friends can use these tissue paper crowns to bring in the new year in 'royal' fashion! StephShivesStudio Fringe Horns --- These noise makers are almost to pretty to use! I love the colors and that they are sold on Etsy! Tops Malibu Wish Papers --- Something totally new to me! 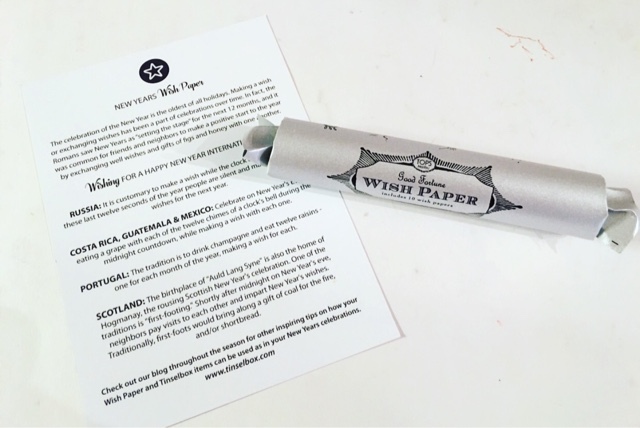 Wish Papers are popular in Europe but I have never seen them before. Make your wishes at Midnight and follow the instructions on the package for a visual treat to go with your wish! I may have to try them out before the new year! Fortunately Yours Fortune Cookies --- I looooooove these! I love fortune cookies in general but these are even more fabulous! 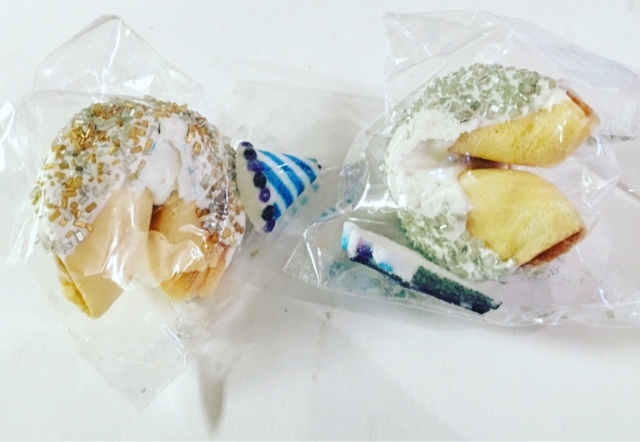 Customized by the FortunatelyYours on Etsy to match the New Years TinselBox look, these fortune cookies are candy coated and contain a special New Years' message inside! 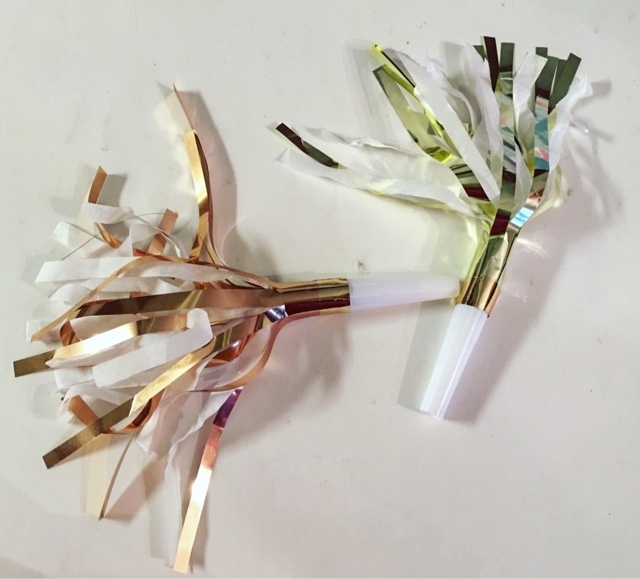 Confetti Popper --- These Handmade confetti poppers were made exclusively for TinselBox! 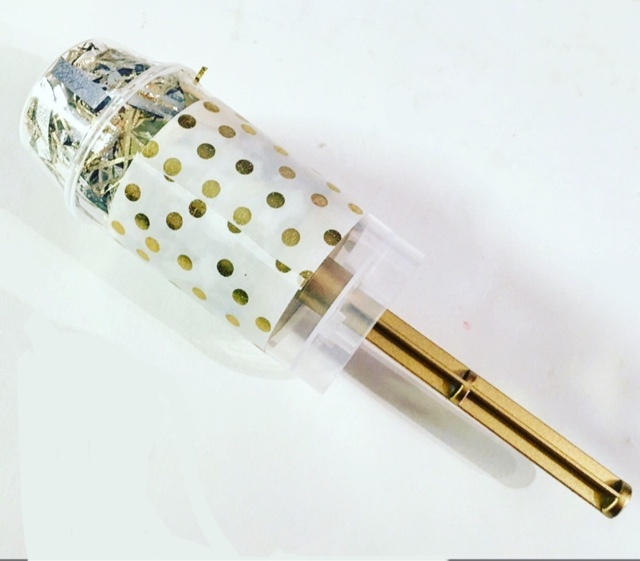 Take the top off, hold the barrel and push up the stem for a sparkly celebration! What makes these even better? You can reload them and use it again and again! Talk about convenient! Tops Malibu Star Sparkler --- a bright and fun way to celebrate for sure. 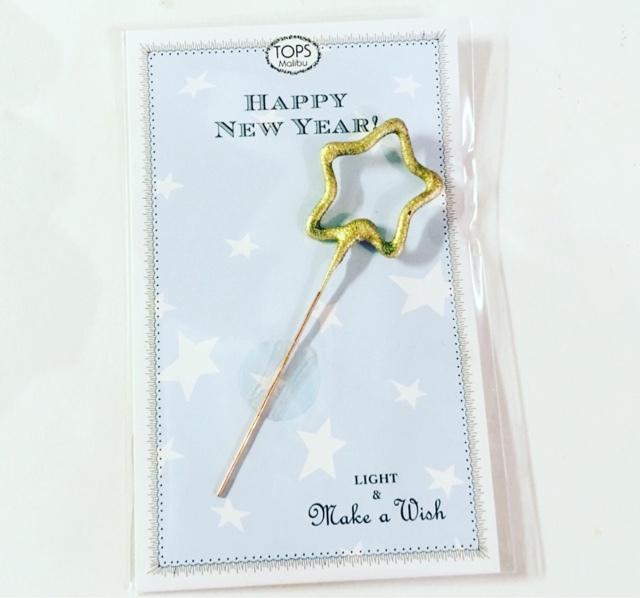 Light up these little stars and stick them in your New Years party desserts! I genuinely love every little thing about TinselBox! It's such a fun and unique subscription, isn't it? 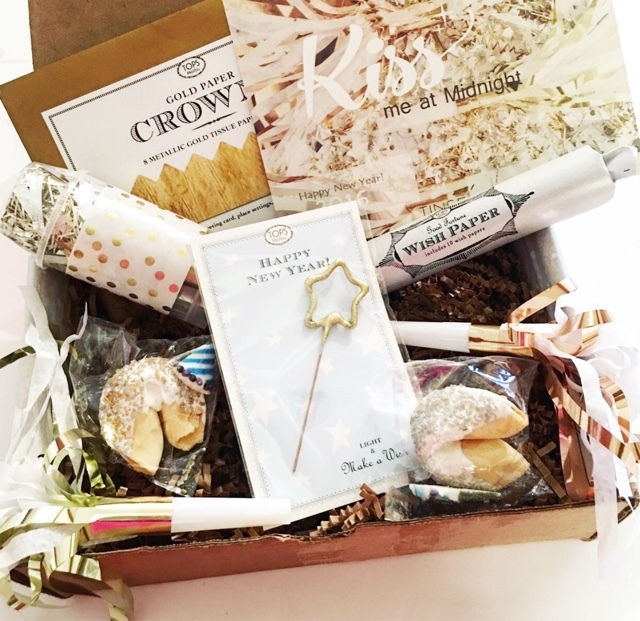 The curation of the New Years' box is just phenomenal and each item is fun and fabulous. Now I can ring in 2016 with glitz and style!! Thoughts on TinselBox? Share with us!